Kids fighting? Want to bury your head under a pillow until they stop? I get it. But here’s why you need to intervene in kids’ fighting and how to do so effectively. Last week we talked about how Special Time can be a transformative tool to reduce sibling fighting. Special Time (one-on-one time immersed in your child’s world of play) gets to the root cause of what’s causing the fighting. It gives children the attention from you they crave and lets them know you could never love anyone more than you love them. That doesn’t mean that your kids will magically stop fighting! Some people will tell you to ignore siblings who are fighting or to let them work it out themselves. the dominant sibling always winning while the less dominant sibling never learns to stand up for him/herself. As parents we need to intervene in sibling fights. If we do it effectively we can teach our children conflict negotiation skills they will use for the rest of their lives. As they learn how to work it out, they will need us to intervene less and less. Most well meaning parents wade in, try to suss out the situation as best they can, and then announce the solution. Forced sharing doesn’t encourage generosity. Kids who are forced to share want to hold on to stuff even harder. Nobody learns anything about solving a problem. They lose the opportunity to build an important life skill. You will always be called on to referee their fights! If they get accustomed to you solving problems, they will always need you. The number one thing to remember when intervening in a sibling fight? Be Switzerland. Switzerland is the famously neutral country and that is what you need to be: neutral. So even if you think you know what’s going on- don’t take sides. Don’t suggest a solution. You are the mediator between the two sides, NOT the negotiator. You are Switzerland, not the international court of law. You hear fighting from the other room- it sounds serious. Parent goes in and sees two brothers fighting over a Lego guy. Parent: Acknowledge that there is a problem but that you’ll be able to work it out. Parent: Ask if both children feel heard and if you understand the situation properly. You are the mediator: helping your children state their positions, and feel heard and understood by each other. You are NOT the negotiator: you are not going to solve their problems. We want them to learn to do this for themselves! It takes time (and patience!). But with your help and lots of practice it is completely possible. Get into this frame of mind before you tackle Part 2 of how to intervene in a sibling fight: Find WIn/Win Solutions. 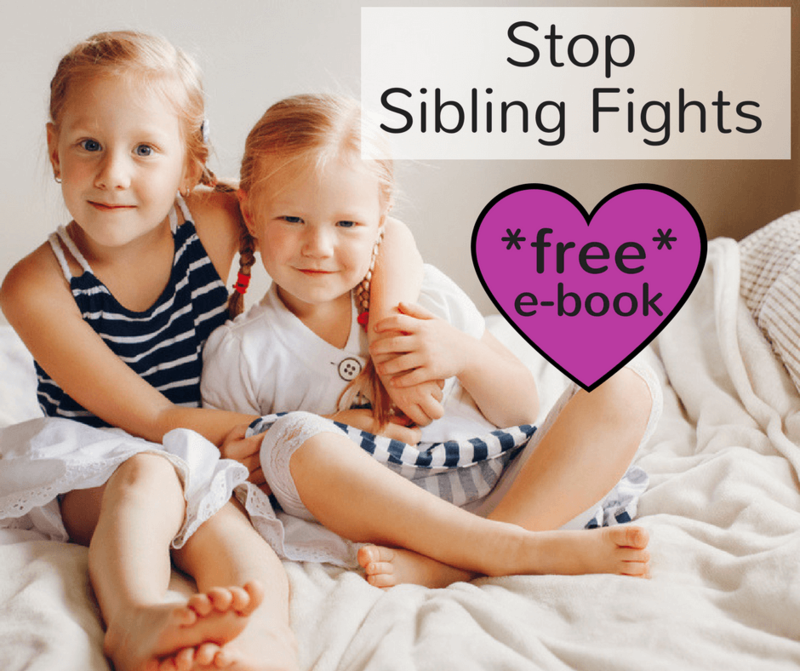 Sign up below and I will send you my *free* e-book, Stop Sibling Fighting. I’ll also add you to my newsletter list. 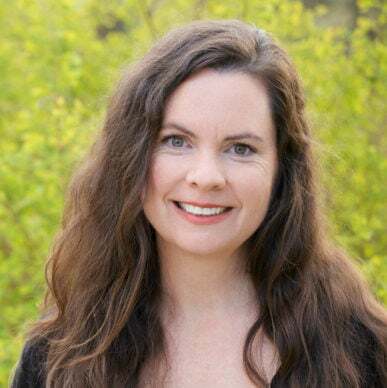 I share parenting wisdom via your inbox a few times a month. Thanks Sarah this is a useful reminder! I really struggle with sibling rows because they get physical almost immediately and my understanding is that as a parent we are supposed to physically stop them fighting? So often I find I am physically “ruling against” one party or another while I try to stop the physical fight. Then it’s really hard to be Switzerland! My daughters are 7 and 5. Any advice? Hi Theo! Yes unfortunately if it’s physical you will have do what you’re doing. The being Switzerland comes in when you can get everyone calmed down enough to to talk. So first stop the fight and soothe (in the same way I mentioned in the script) and then be as neutral as you can. So hard!! If they are that physical it sounds like they have some pent up stuff going on (full backpacks.) I’m sure you are aware but wanted to add that for anyone else reading. Part 4 of the series addresses this issue! Thanks for commenting.